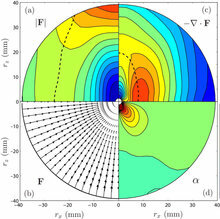 Rotating turbulence is a fundamental phenomenon appearing in several geophysical and industrial applications. Its study benefited from major advances in the recent years, but also raised new questions. We review recent results for rotating turbulence, from several numerical and experimental researches, and in relation with theory and models, mostly for homogeneous flows. We observe a convergence in the statistical description of rotating turbulence from the advent of modern experimental techniques and computational power that allows to investigate the structure and dynamics of rotating flows at similar parameters and with similar description levels. The improved picture about the anisotropization mechanisms, however, reveals subtle differences in the flow conditions, including its generation and boundary conditions, which lead to separate points of view about the role of linear mechanisms—the Coriolis force and inertial waves—compared with more complex nonlinear triadic interactions. This is discussed in relation with the most recent diagnostic of dynamical equations in physical and spectral space.